If you can’t go to Thailand, let it come to you with these incredibly delicious Thai appetiser recipes. They’re easy to prepare and won’t take too much time out your day. Who can resist crunchy prawns with a zesty Thai mayo dip? A few fresh coriander leaves. Combine the coconut and Panko crumbs and sprinkle generously on a plate. On a separate large plate, pour the seasoned flour. Set aside a clean plate and line with a paper towel. Coat prawns individually in the cake flour, thereafter dip into the egg, and lastly coat with the coconut crumbs. Do this for all the prawns. Combine all the ingredients for the dip and decant into a small bowl. Deep fry the prawns in hot oils until golden. Place the fried prawns on the towel-lined plate so absorb excess oil. Serve the prawns on a decorative plate with dipping sauce on the side. Garnish with the pickled cucumber, lime wedges, chilli and coriander. *Panko crumbs are Japanese dried breadcrumbs which can be purchased from Asian supermarkets. We chose to use these because they give the prawns a nice crunch. 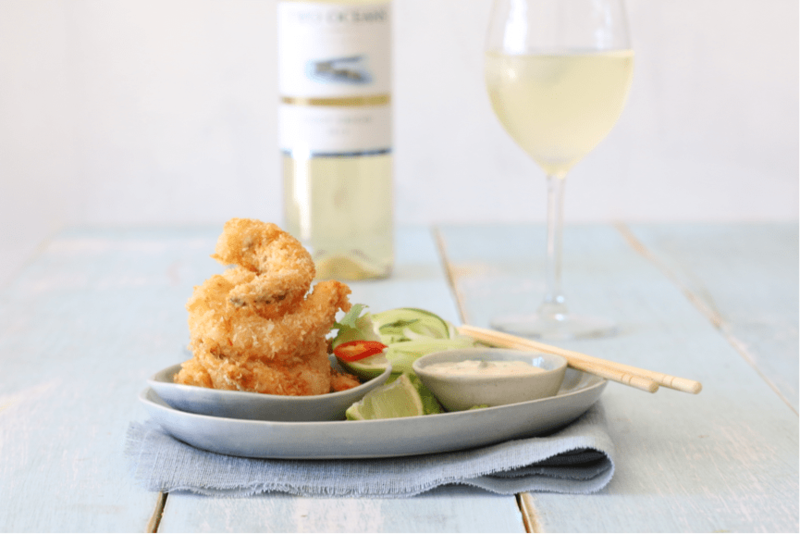 Enjoy your prawns with a glass of Two Oceans’ Pinot Grigio. This Pinot Grigio has subtle fragrances of dried apricot, peach and litchi which complements most Asian dishes. Go on and treat your palate! Chicken skewers are the perfect Thai party food. No plates needed and there’s no mess either! Combine the coconut milk, fish sauce, curry paste and lemongrass in a bowl and mix well. Place the chicken strips in a Ziplock bag and pour in the sauce. Seal and toss to coat the chicken. Thread the chicken strips onto the skewers. On a medium to high heat, grill the chicken skewers for three minutes on each side until cooked. 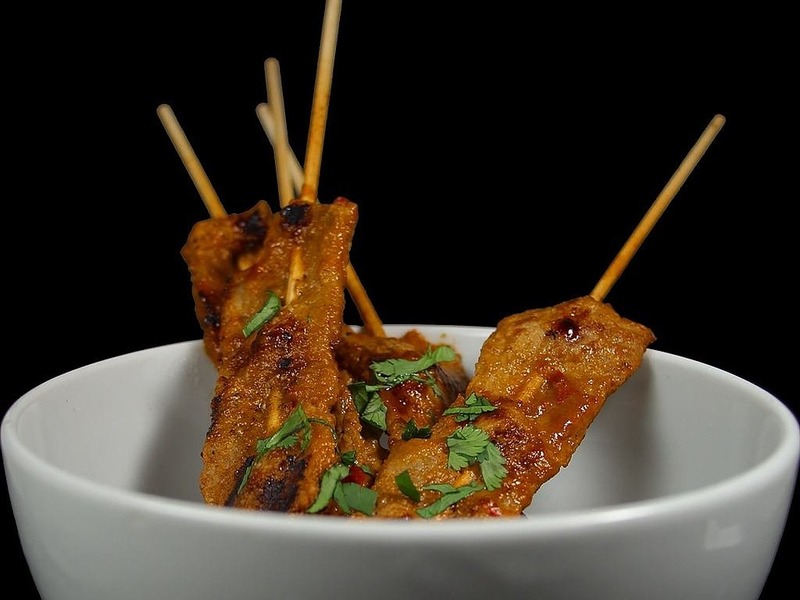 Serve the chicken skewers with satay sauce. Serve an easy-drinking wine such as Two Oceans’ Cabernet Sauvignon which has rich flavours of juicy ripe plum. Crispy fried tofu is delicious, especially when served with sweet chilli and satay sauce. These are quick and easy to make. No fuss! Make sure to drain the tofu well. Wrap tightly in a paper towel to remove excess moisture. Let it stand for 20 minutes. 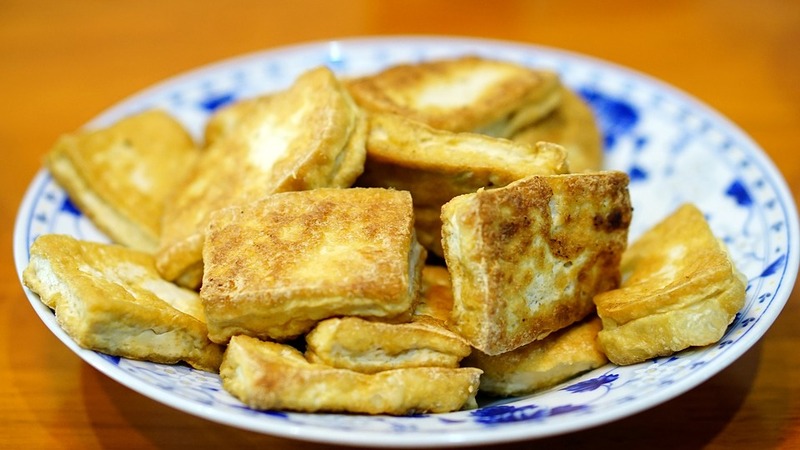 Cut the tofu into medium-sized cubes. In a bowl, combine the flour and cornstarch. Coat each tofu block in the flour mixture. Heat oil in a wok or deep pan on a medium heat. Deep fry tofu cubes for about eight minutes or until golden brown. Serve with sweet chilli and satay sauce. Tofu pairs well with Two Oceans’ Pinot Noir. This deep red wine is beautifully balanced with flavours and aromas of strawberry, mulberry and cherry. It’s berry delicious! These are light, crispy and guilt-free. Tip: Big crunchy lettuce leave are the perfect alternative to flour tortilla wraps. In a large pan, heat oil on high heat. Stir-fry the pork until cooked and slightly browned. Drain excess liquid and allow to cool for a few minutes. In a large bowl, mix the cooked pork, red onion, chilli, ginger, fish sauce and lime juice. Next, add the peanuts, coriander and green onion. 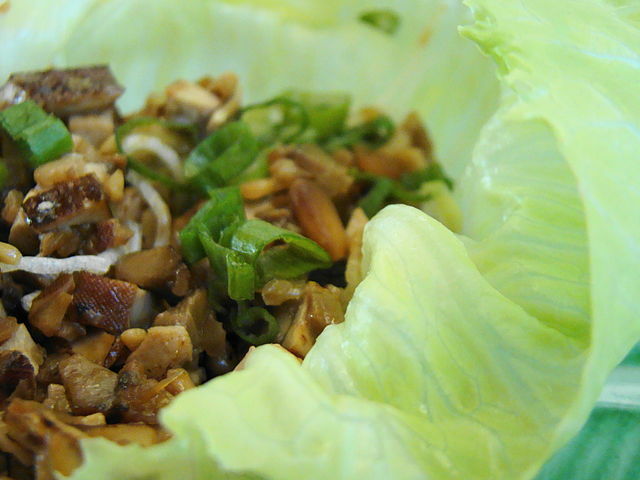 Place the lettuce leaves on a serving plate and scoop the pork neatly into each leaf. Roll the lettuce leaf to make a wrap. Pair your pork lettuce wrap with zesty Two Oceans’ Sauvignon Blanc. This white wine has a light lemon aroma with subtle nuances of passion fruit, green apple and sweet melon.